You may have heard that the Bureau of Land Management (BLM) has recently changed its guidelines to offer an incentive to people wishing to adopt a wild horse. The BLM is now offering $1000 to help adopters with housing, care and training of adopted horses. There is a limit on the number of horses or burros you can adopt under this program. No more than four animals may be adopted within a year. Through this program, your horse will remain the property of the Bureau of Land Management for a year. This means that with the thousand dollar incentive offer, you will get $500 early in the process, but it will be a year before you get the second $500. This will happen at the time that the title is transferred to you. There are several different places you can adopt a wild horse or burro. Adoptions take place at specially arranged events, agency adoption facilities, and also online through auctions. While this may seem like a deal that’s just too good to be true, it’s important that you keep in mind that adopting a wild horse or burro can be extremely challenging. It is not a project suitable for a beginning horseman or woman. Not only must qualified adopters meet a comprehensive list of requirements to be approved, you must also have a very thorough understanding of horse care, psychology and behavior to be able to deal successfully with an entirely untrained equine. 1. In order to be able to adopt, you must first fill out an application and undergo a review by the BLM. 2. You must sign a private maintenance and care agreement that states that you won’t sell your horse as bucking stock, to be processed into commercial products or to be slaughtered. 3. You will have to pick the horse up. Sometimes arrangements can be made to retrieve your horse from a drop off point rather than going all the way to the holding facility. 4. You will also be required to have an approved vehicle and trailer to transport your new animal. Your trailer must be a covered stock trailer or horse trailer that has a rear swing gate rather than a ramp. Any dividers must be secured and out of the way. A three horse slant trailer is also acceptable, but a one horse trailer or a trailer with a drop ramp is not acceptable. The BLM may approve some two horse trailers. This is decided on a case-by-case basis. 5. Once you have your new horse home, you must provide him with a corral that measures at least 400 square feet. Your fencing must be secure and made of wooden posts and planks, mesh or pipe panels. It must be a minimum of 1 1/2 inches thick. You cannot keep one of these horses in electric fencing or barbed wire. For gentle horses or yearlings, it’s all right for the fence to be 5 feet high. If the horse is untamed and over the age of two, the fence must be 6 feet high. 6. During the first year, the BLM may visit you to inspect your premises. You will be required to provide specific care that includes feeding the right amount and type of hay and grain and providing unhampered access to clean water. 7. You are also required to keep the horse properly vaccinated and provide routine veterinary care and farrier care. 8. 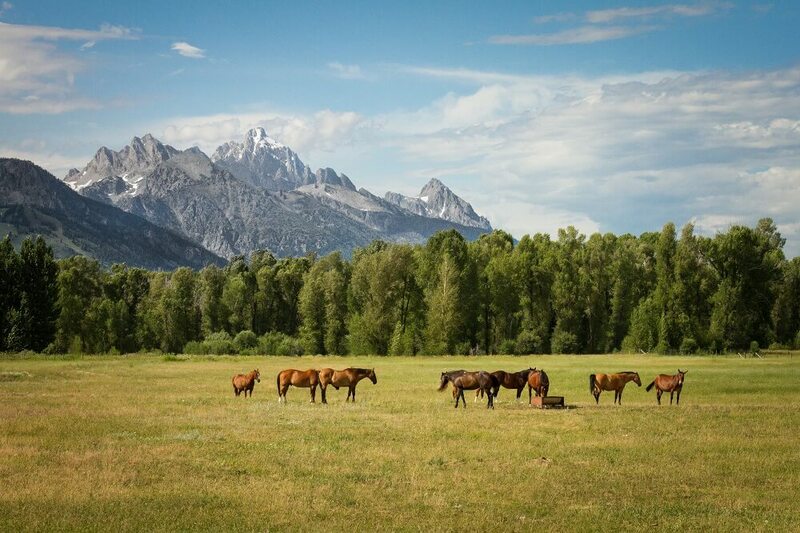 During the time that the horses still owned by the BLM, you may not take it out of the country. If you want to avoid all of these requirements, you can outright purchase a wild horse over the age of 10. These horses are sold for as little as a dollar each, and buying one could very well save its life. Since 2004, these older horses and burros have been available for sale without limitation. This means that the people who purchase them own them outright, immediately and can do anything they want with them. For this reason many of these older animals are shipped off to slaughter in Canada and Mexico. What Are The Upsides To Adopting A Mustang? The wild horses of America are part of our National Heritage. Fully 80% of the general public disagrees with the BLM policy of rounding these horses up and keeping them in corrals. While the BLM states that they are doing this because of horse overpopulation and because horses are starving, there is actually little or no evidence to support this point of view. It is quite provable, however, that our wild horses are being rounded up and sold off for the benefit of corporate ranchers, the fossil fuel industry, mining and timber interests and the like. When you adopt an older wild horse or wild burro, you save its life. Additionally, horses that are not adopted after three tries become available for outright sale, and many of them will end up going to slaughter. Experienced horse men and women who have adopted mustangs have found them to be remarkable horses. They are smart, responsive, alert and extremely loyal. They are also incredibly hardy and perform well in competitions against domesticated horses of similar types. The key to success in adopting a wild horse is to be knowledgeable, consistent and persistent. You must provide a safe and secure environment, work with your horse every day and seek the help of a professional trainer as needed to ensure your success.